Need more room to jump & bounce around? How about 200 square feet of bouncing area? This spacious bounce house can accommodate any size party. More room, means more fun! No theme, just bright primary colors will be suitable for a boy’s or girl’s party. 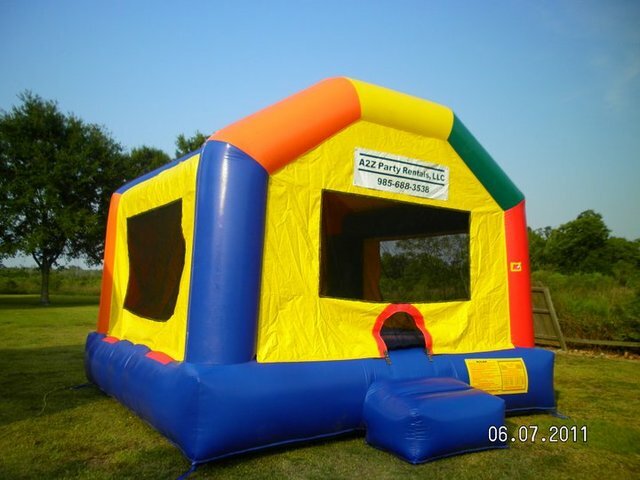 Call us to rent our 15 foot Big Bouncer for only $100 a day.